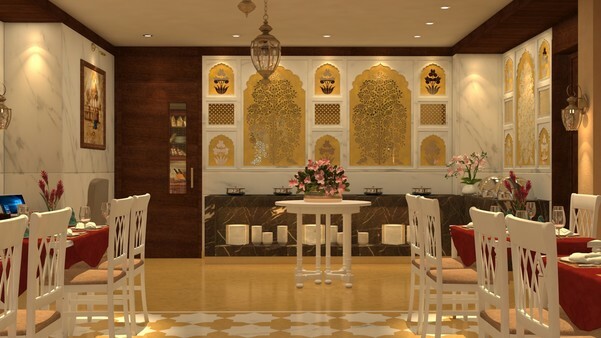 Exclusive Restaurant "Manuhar" at Laxmi Palace Heritage Boutique Hotel has a delectable range of Indian cuisine on offer. Enjoy the food prepared for you by our traditional cooks and supervised by the experienced chef. 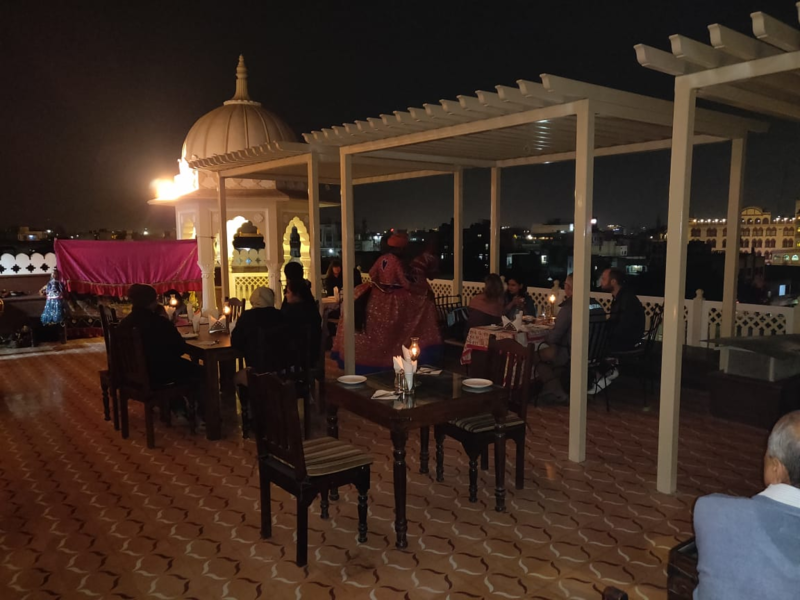 Also, enjoy the ambiance of our cozy and private dining room where we have used Jaipur traditional structure such as "Thikri (Glass Cutting) work with Moroccan designed lights which will give you different feel.
" for a candle light dinner on demand. 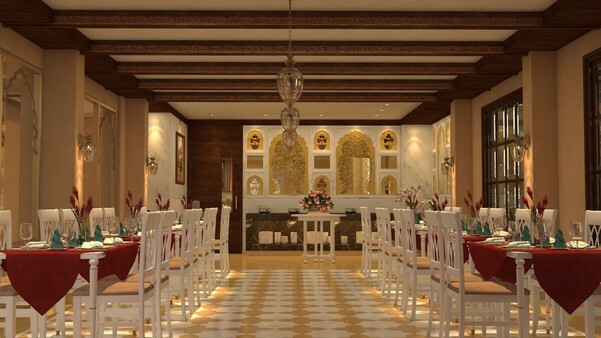 Every visitor is welcome to banquet with us at our restaurant 'Manuhaar'.